Looking to make beautiful forms, popups and optins in less than 2 minutes? That’s easy! You can convert more of your website visitors into subscribers, leads, and sales by using exit intent popup and advanced targeting triggers. 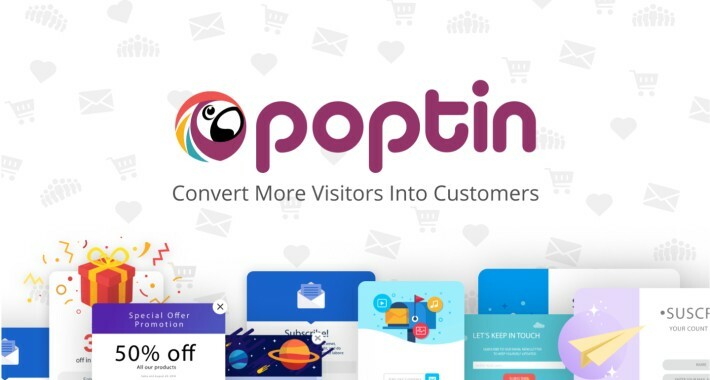 By tracking the behavior of your website’s visitors, Poptin popup plugin shows them the right information at the right time. This helps to improve conversion rate and turn visitors into leads, sales, and subscribers. The platform is designed to increase visitors’ engagement, gets them to subscribe to newsletters and even recover lost visitors; using triggers like exit intent technology and others. Yes, it’s true. Our popup plugin includes exit intent trigger on the free plan and many other advanced features. The free plan comes with 1,000 views of popups per month. Unlimited poptins, unlimited integrations, unlimited leads. WHAT DO YOU GET WITH POPTIN? 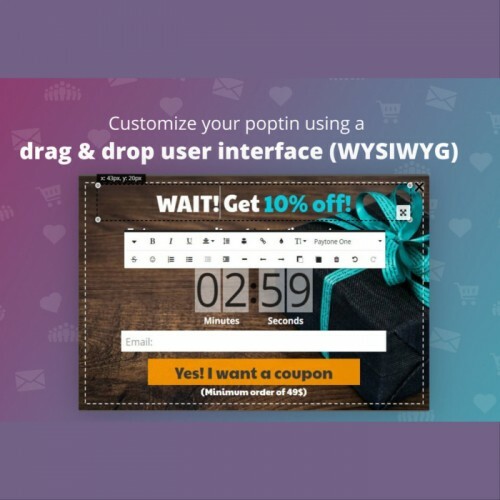 Poptin has a drag & drop editor, allowing you to create popups in minutes without having to know about to code at all. 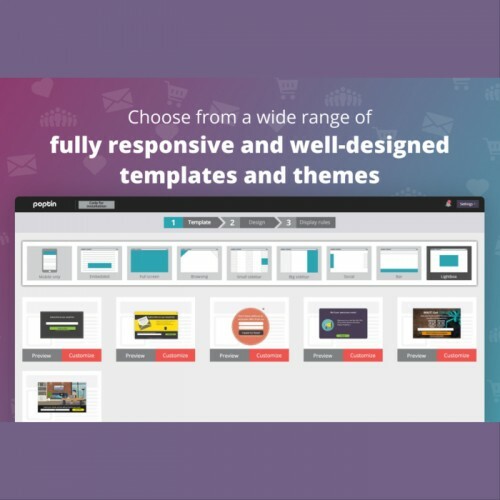 Poptin offers you a wide range of topnotch designed and fully responsive popups and lead forms templates. This templates include lightbox, welcome screen, floating bar, slide-in. sidebar, facebook likebox, mobile popups, countdown and timer popups and many more. With exit intent technology, you get unlimited exit popups. This feature is included in the free plan. The platform allows display of awesome popups according to each visitor’s unique behavior. Collect emails and leads using our simple landing page link. Each popup has it own unique landing page link that can be sent via email, message or post it on social networks. The platform helps to keep your popup content as draft and autosaves them in case of internet issues, a bug, your kid spilled water on your laptop etc. This works for both new popup and existing popup. You can create 2-step lightbox or even slide-in with a button that will launch a light-box or a full-screen overlay with some input fields You can launch poptin from another poptin and create double opt-in, triple opt-in or any flow you want. 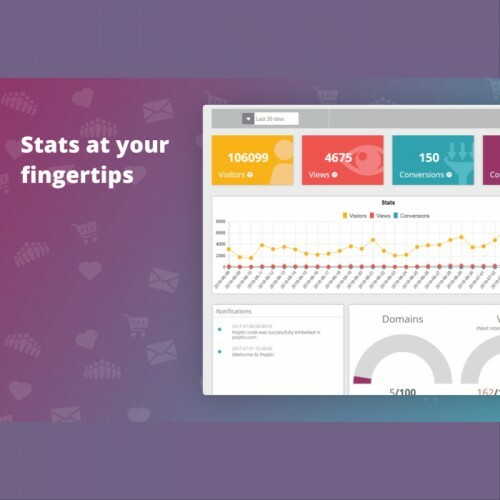 Track your popups’ performance with other tools like Hotjar, Lucky Orange, ClickTale, FullStory Smartlook, Crazyegg, MouseFlow or any other heatmap and session recording tool. You can now display popups to users with specific cookies. This feature can be used to show poptins based on shopping cart data such as number of items, cart value, etc. You can also target logged in and logged out users. Tested with all browsers – Chrome, Firefox, Android, iOS, Safari, Explorer, Edge, Opera and more, and with all of their versions. Tested with all Windows versions, macOS and other operating systems. * You can see the IP address of any lead you get. Just click on the eye icon on the “Leads” tab. This is not an extension, but only link to Poptin. This extension helped me to increase my sales by increasing my store's conversion rate (without investing a penny in marketing). Love it!